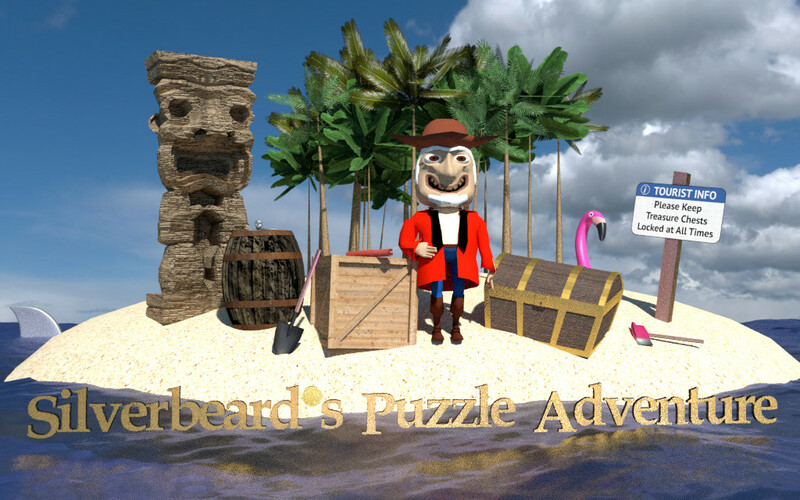 Silverbeard’s Treasure Puzzle Adventure is really coming along well. Right now there are 34 out of 40 levels completed, only 6 to go. Unfortunately the ideas I have for new useful objects are a little too grandiose at the moment, so I’ll have to pare it down. I am putting the finishing touches on the in-app purchases. You will be able to purchase hints for real money or findable treasure coins. You will be able to double the number of coins on a given level (and therefore accelerate your ability to unlock free hints) by watching a totally optional ad. Finally, I am making the game’s first 10 levels free, with the rest of the levels available for purchase. I got a lot of good feedback saying this was the way to go – either the player will be hooked and won’t mind spending $0.99 to unlock more levels, or the game isn’t for them. I’ve got some work to do on Silverbeard himself. I got great feedback that he was a little too “scary clown” looking and not enough “comic funny hero” looking. So look for Silverbeard to get a facelift! Right now I’m targeting end of October for a release. But there is a lot of life that could get in my way before then. As the sole developer / coder / level designer / graphic artist on the project, it can be hard sometimes! Thanks to all my beta testers who have given such great feedback so far. If you want to become a beta tester, just contact me.